Here at RUSH, we couldn’t be happier to represent the incredible Australian talent that is Jessica Mauboy. 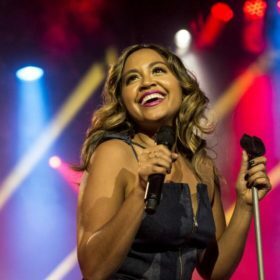 Here are all the reasons why you should consider working with a Jessica Mauboy booking agent to make a high-profile event truly unforgettable. 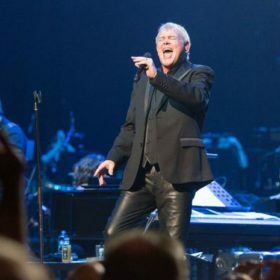 As an inherently shy singer, it was Jessica’s father who encouraged her to audition for Australian Idol back in 2006. For anyone who watched that season of Idol, you’d agree that she didn’t have a reason in the world to doubt her talents. Mauboy shocked the judges, the audience and everyone watching at home with her rich vocals despite her young age of only 16. From there, her music career took off. Jessica released her first album Been Waiting with Sony Music at just 19. Since then, she has sold over two and a half million albums, achieved fourteen Top 30 hit singles, and received numerous ARIA awards. Mauboy’s musical achievements clearly speak for themselves, but she’s topped them off with a solid acting career by starring in the movies Bran Nue Dae and The Sapphires. It’s obvious that this talented lady is a born performer. Jessica has multiple high profile TV performances under her belt, with appearances on the ARIA Awards, MTV Australia and the Nickelodeon Kids Choice Awards. Internationally speaking, Mauboy solidified herself as one of Australia’s biggest pop stars when she was invited to perform for Oprah Winfrey and President Barack Obama in 2011. She’s also made a guest appearance on Eurovision, performed on The Ellen DeGeneres Show and undertaken multiple Australian tours successfully. With all of that, you know Mauboy is a performer you can rely on. Obviously given Mauboy’s superior talent, securing her for a private event requires assistance from a specialist entertainment agency. If you’re interested in working with a Jessica Mauboy booking agent for an upcoming event, please get in touch. We also manage a number of other major touring artists and celebrity speakers perfect for high profile events. If you have questions about curating the perfect evening featuring a well-known figure, please don’t hesitate to contact us.